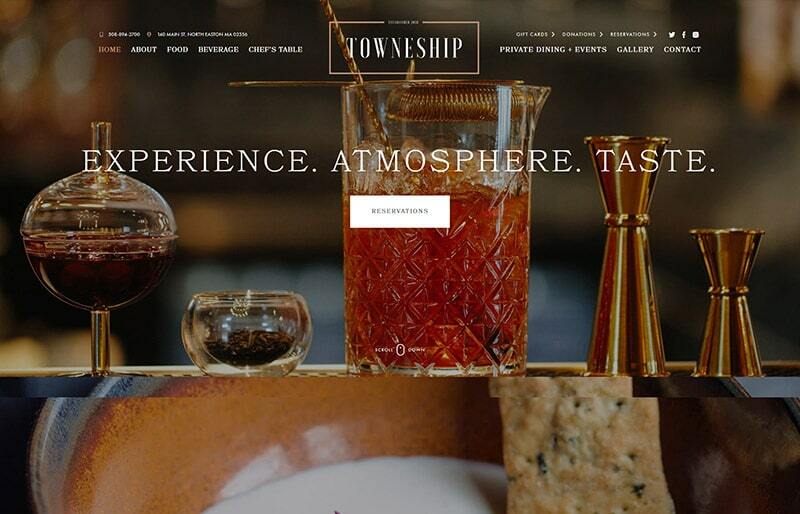 Housed in a gorgeous, reclaimed 150-year-old church and located in downtown North Easton, Massachusetts, Towneship has a casual elegance that focuses on superior service and the highest quality locally-sourced ingredients. Its menu is carefully curated with classic New England dishes that have creative edge. Well known New England Chef Chandra Gouldrup's leadership and meticulous attention is reflected in every dish and in every guest experience. 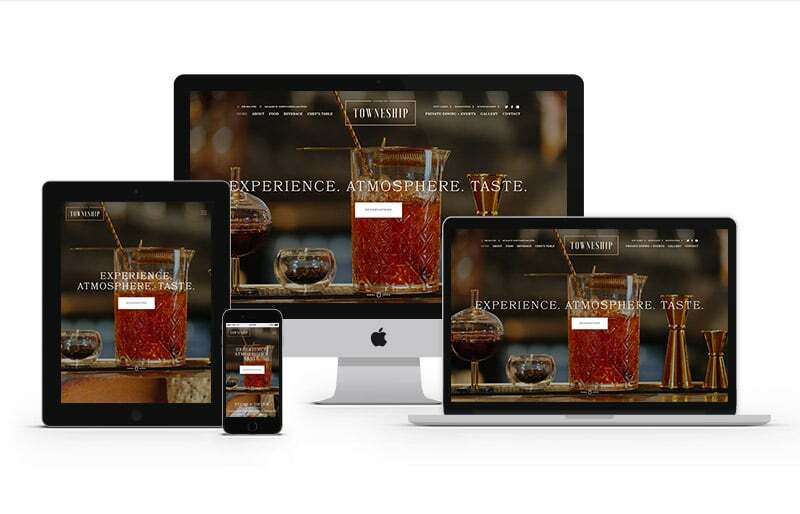 GoingClear Interactive was honored to be the natural choice for Towneship Restaurant's website, having already designed and developed The Farmer's Daughter, Chef Chandra Gouldrup's other wildly popular eatery. The new website includes background animations, a masonry image gallery with a pop-up slide show effect, and stylized third-party contact forms. Working with one of our expert culinary photographers, we were able to ensure the images within the site captured the warm, guest experience within the restaurant. 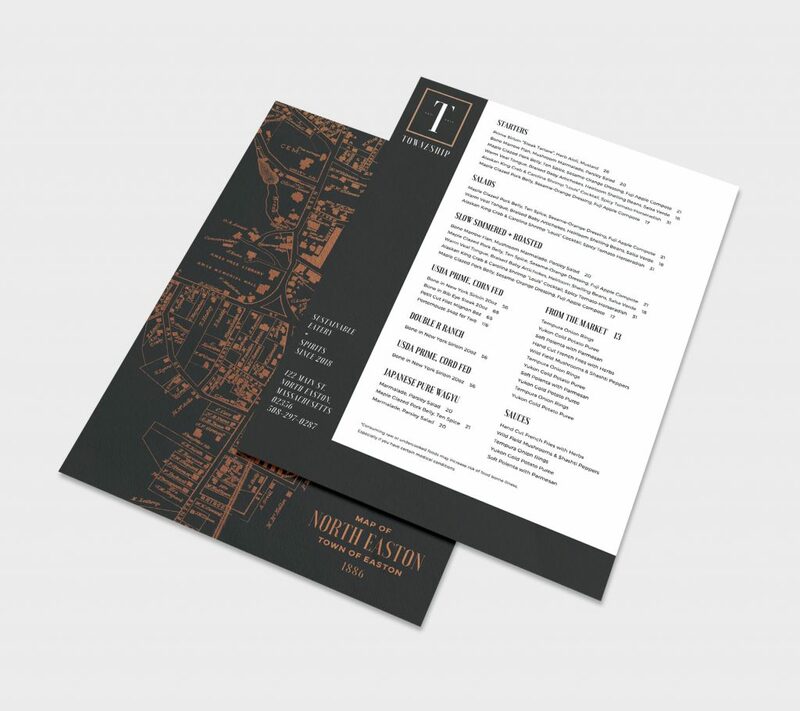 In addition, we designed Towneship's new logo, print menus and menu holders, rounding out and completing their rebranding experience with GCI.